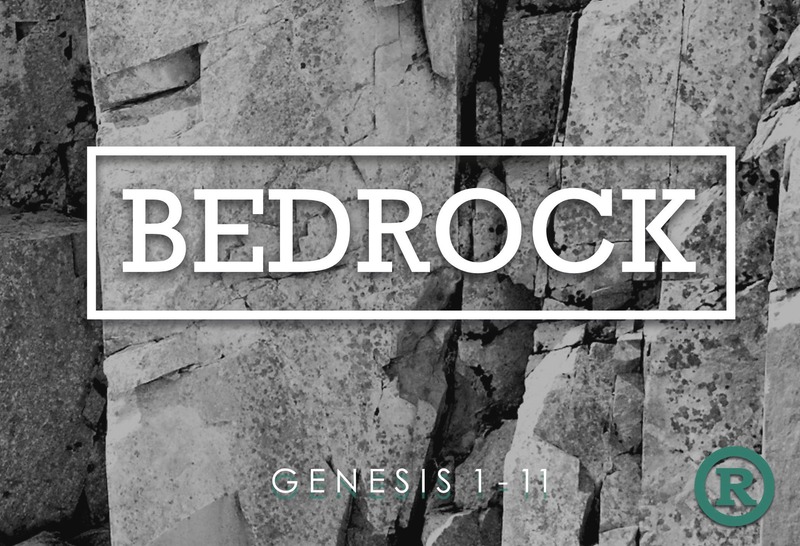 We began our series on the first 11 chapters of Genesis this week. I am becoming more and more convinced that the Book of Genesis is probably the most important book ever written. There are 66 books in the Bible and few, if any of them, make sense without a basic understanding of Genesis. Yet, I find a growing number of Christians unfamiliar with the story of God. They wrongly believe that they can jump in the middle of God’s novel and expect to understand what HAS happened, what WILL happen, and WHY. Genesis is the beginning of the beginning. In many ways, it is the beginning of everything we know—the BEDROCK of our faith. Our culture desperately needs Genesis right now. Our world is struggling with truths that everyone, believer or non, once held as absolute. Our questions have changed. We are asking different ones that many people, believer or not, never though we’d be asking. We’ve gone from questions like: What is life about TO what is a life? From who should I marry TO what is a marriage? From how I can mature as a man or woman TO do I want to be a man or a woman? And while pastors of churches could preach countless topical sermons to address these kinds of topics, the church should go back and study the book of beginnings. Said another way, Genesis is a missional book—it has answers for the many of today’s most difficult questions and hope for the world. The first 11 chapters give us God’s answers, God’s definitions, and God’s designs for how life is supposed to be. It also provides us understanding as to why things are not the way they are supposed to be right now. In Proverbs 22.28, King Solomon writes: Do not move the ancient landmark that your fathers have set. Today, the chaos in and around creation is evidence that mankind has foolishly done just. Men have rejected God’s Word as their foundation. Instead of thanking God, they have denied Him. Instead of worshiping the Creator, they have worshiped creation. Instead of embracing a loving Father’s design for life, they created their own. And even though EVERYONE knows that there is something “wrong” with the world, they refuse to return to the only one who can make it right. I recently spoke with an Atheist friend of mine who expressed his own concern over the brokenness of the world. As he watched the same news reports and heard the same court decisions, he felt disgusted over what the world had become and even more fearful about where it was headed. I affirmed his perspective, but proceeded to explain the difference between us. Even though we may have felt the same way about the world, he didn’t know why he did? More than that, he really had no basis to be upset with a world that is functioning according to its nature. According to his worldview, being upset about the “wrongness” of the universe didn’t make much sense–the universe doesn’t give a %&#@. 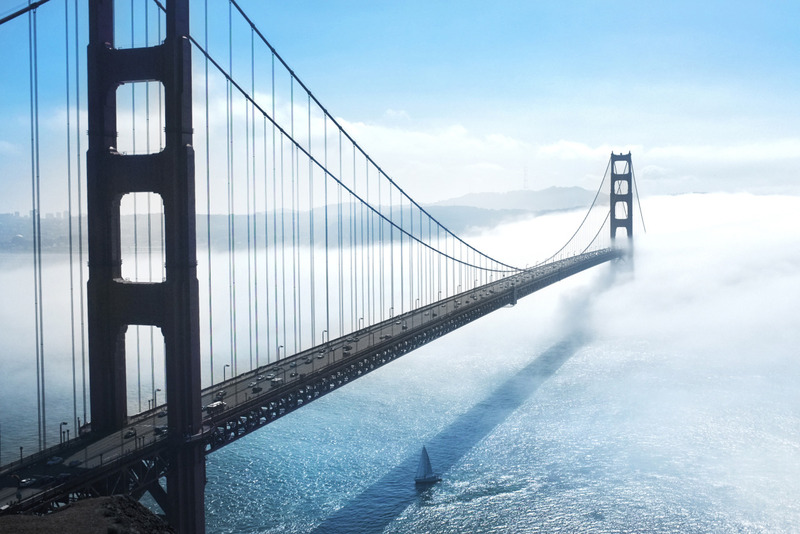 Unless that is, there is a designer who does…and everything from monsoons to immorality is evidence that we have rebelled against His perfection. Our study in Genesis is important and timely. We need to dig down through all of the dirt piled up on God’s foundation, God’s bedrock, in order to learn both the origin AND the meaning of all things. 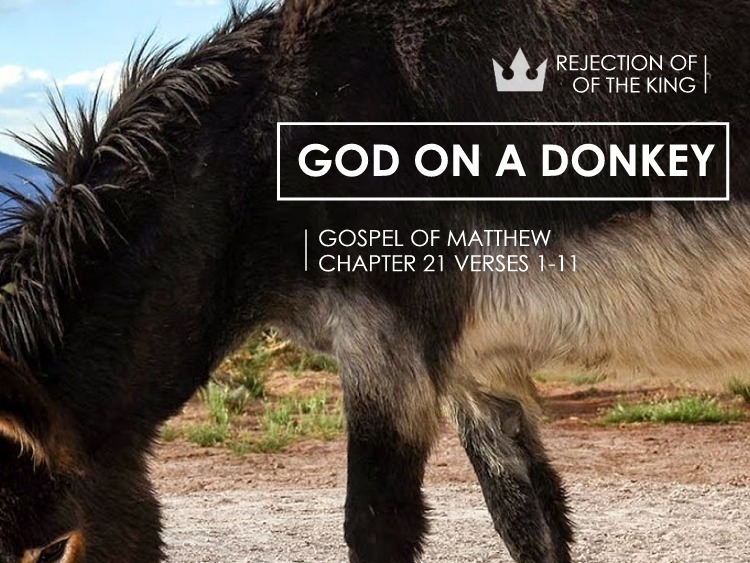 This past week we preached through the not-so-triumphal entry in Matthew 21.1-11. This is the well-known passage where Jesus rides a donkey into Jerusalem. I find the first verses of this passage, preparing to enter, the most moving. The disciples were curious as to why Jesus would ask them to go impress a donkey from a stranger. What is even more curious is that they obeyed! The disciples did not know why Jesus asked them to get a donkey. John’s record of this event says it plainly: His disciples did not understand these things at first, but when Jesus was glorified, then they remembered that these things had been written about him and had to be done to Him. John 12.10. The disciples trust His commands more than their power to understand of them. The disciples did not understand why Jesus asked for a Donkey. Jesus did not quote Zechariah to them, and they didn’t remember it until after He was glorified. It was strange for a man who had hiked hundreds of miles over three years to ask for a “ride” over the last two miles. It is easy to obey the commands that “make sense” to us intellectually or “feel” right emotionally. The disciples trust Jesus command even when it makes zero sense and feels weird. Why? Because Jesus had said so. The disciples trust His promise to overcome any hindrance to what he asks us to do. We can imagine what the disciples were thinking when they heard Jesus’ command. Jesus wanted them to go and “steal” a donkey (most likely a man’s livelihood) from a stranger in a strange village. Their minds immediately began to formulate of list of reasons for why this would not work out. Before they could voice their concerns, Jesus preemptively instructs them to say, “The Lord needs it” if there are any questions. Basically, they are to go and take the keys of a man’s Ford F-250 work truck and drive off; if anyone questions them…say Jesus needs it. I find myself impressed that the disciples obeyed and did so immediately. Despite the myriad of problems with the plan, they trusted that Jesus would remove any barrier to do what He asked. The disciples trust that their obedience contributes to fulfilling his mission. Our obedience is not about our righteousness. Once we come to understand the gospel, we realize that our obedience does little to produce righteousness. At the same time, it does accomplish something . First, it glorifies God and reflects His goodness in us. Second, it is loving. God’s commands are not only a means to demonstrate our love for Him, but also a guide to know how to love others. But third, and often ignored, is the fact that our obedience contributes to fulfilling His mission. This makes the smallest of Jesus commands big; and the most insignificant tasks important. From their limited perspective, these men were just getting a Donkey. In the eyes of God, they were confirming his prophetic promises and helping to identify the King. Those who are IRRELIGIOUS stop on FRIDAY with JESUS DEAD. Whether Jesus was who He said He was who knows; but you’d be a fool not to AGREE that the death of Jesus of Nazareth was a horrible unjust tragedy. A 30 year old carpenter name Jesus, who did nothing but serve and love people, is accused falsely, tried illegally, and murdered brutally. If nothing else, this tragedy proves that there is something wrong with the world and you know it. But the irreligious wrongly believe that men can avoid such abuses, ensure justice, or otherwise save themselves from these kinds of mistakes, through better laws, better leaders, better schools, better jobs, better health, better pills, anything but a better heart. Those who are RELIGIOUS stop on SATURDAY with JESUS BURIED. Saturday was depressing—there is no hope there. 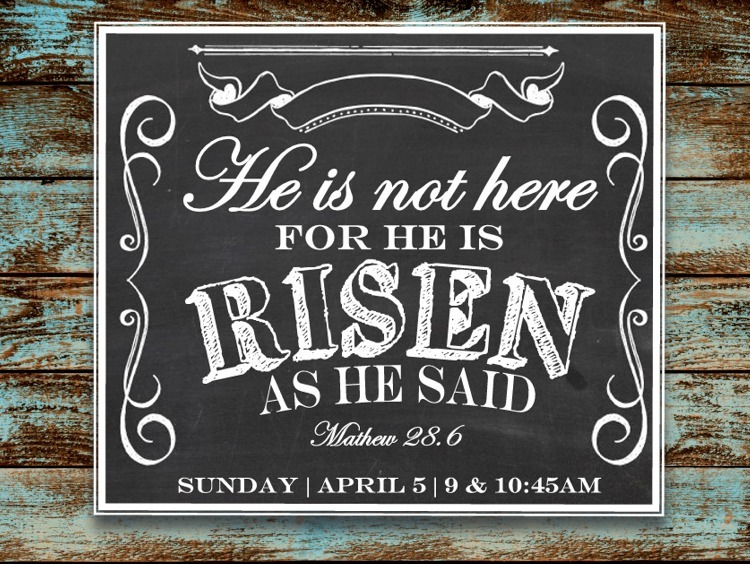 Imagine how the disciples felt with their hero still lying in the tomb. Dwelling on Saturday is a recipe for a joyless Christian faith, also known as religion. The religious are obsessed with the sin of the world, overcome by the sin of others, or overwhelmed by their own. Like the disciples, they sit in despair, angry, joyless, without hope because Jesus only paid. Without Sunday, I can’t be sure the price was accepted by God—so I’ll live in fear of sin, without hope for the world or hope for myself. And I’ll work real hard to fix all the sin in the world and to fix the sin in myself—and I’ll fail. Those who believe GOSPEL, live the joy of SUNDAY with JESUS ALIVE. We trust the tomb is empty. We live knowing that, in the darkest of moments, there is always hope because Jesus has conquered sin, Satan, and death. We live knowing that my debt has been canceled, paid in fully, my sin set aside, my record cleared forever. I WAS never good enough but I have been MADE perfect AND I HAVE SOMETHING TO DO. Faith in the Crucifixion means believing that our old life is gone. Faith in the Resurrection means believing there is a new life to live now in Christ, by Christ for Christ. I am not my own. It is not MY body. It is not MY money. It is not MY decision, MY plan, or MY will because this is not MY life.